Manage the asset management system for civic buildings by updating inventory information, working with site personnel, visiting sites as needed to verify data, and providing reports. The incumbent will have knowledge of building materials, methods and practices as well as knowledge of architectural, construction and engineering practices and procedures. The incumbent will also have knowledge of construction terms, contracts, B.C. Building Code, zoning and related municipal legislation and knowledge of relevant safety regulations. The successful applicant will need to have the ability to coordinate the design process, construction, and scheduling for civic buildings and capital projects and to inspect and document related systems and services as well as the ability to act as a liaison and coordinator for specific design and construction projects. You must be able to review, analyze, assess and interpret plans, specifications, contracts and other material related to the work and deal effectively and tactfully and maintain cooperative working relationships with a wide variety of internal and external contacts. Graduation from an Institute of Technology with a diploma in architectural or building technology, or Certification as a member of the Association of Applied Science Technologists and Technicians of B.C., including or supplemented by courses in project management, plus sound related experience; or an equivalent combination of training and experience. A valid Class 5 BC driver’s licence is required. 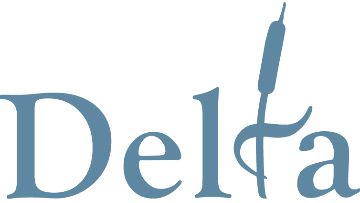 The City of Delta provides a competitive salary of $39.56 – $46.75 per hour (commensurate with experience) and an excellent benefits package including Municipal Pension Plan as well as an earned-days-off system.